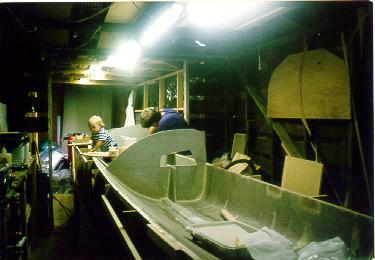 Here is the "Keel Laying" of a float half. 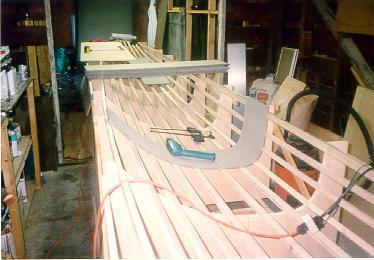 The boat is constructed using the vertical foam stripping method, so this picture shows the first strip of foam in the mold. I used a low-tech vacuum bagging technique for the flat bulkheads. 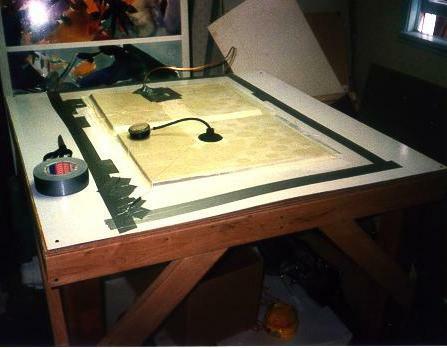 The bleeder cloth was burlap, and the clear bag was construction plastic from Home Depot. I used peel ply next to the glass cloth for a good finish. The vacuum pump is a refrigerator compressor. 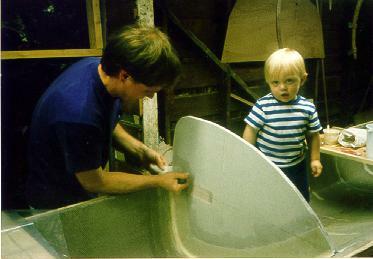 Here my son and I are trimming tape on a bulkhead in a completed float half. 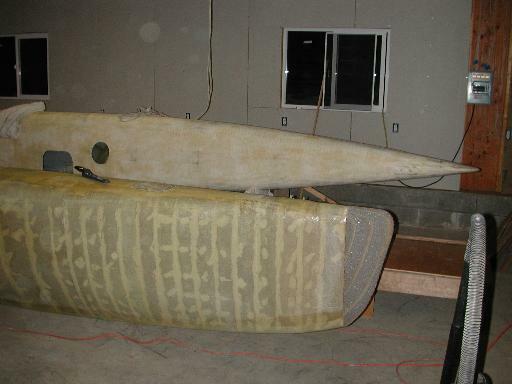 This photo shows a completed float half in the mold with the 3 bulkheads in place. Here is a completed ama half. 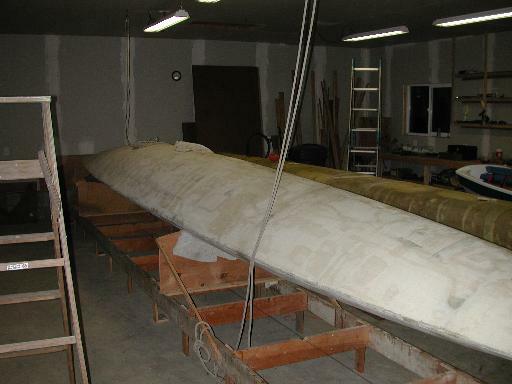 This is a laminated and joined float before fairing. 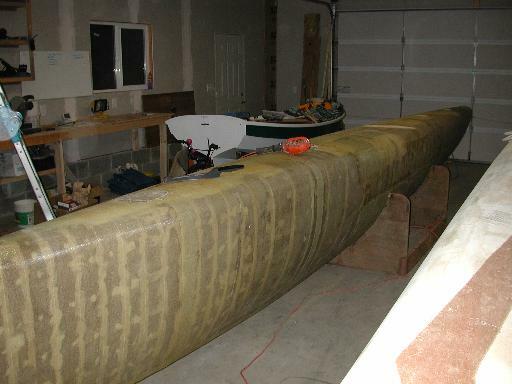 A faired float in the new garage. 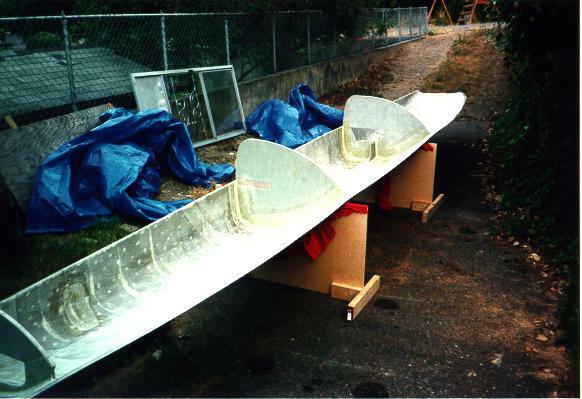 A closer shot of the foam bow on the unfaired float.